While there are infinite variations on natural hair and hair color products, below are few ideas to get you imagination inspired. 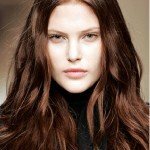 Plum brown hair colors, with their gorgeous violet and red undertones, are a great option for brunettes who might like an edgy, yet professional look. Celebrities successfully pulling off a shade of plum brown are Lana Del Ray and Kelly Osbourne. Because this type of brown allows for more violet or more red it is highly customizable to you preference. Fall and winter usually translates into darker shades. However, there are blondes who will stay blonde. Or should we say “bronde”. Bronde is the perfect combination of brown and blonde hues. It is perfect for darker haired clients who want to try out a lighter color, or for those typically blonde clients who desire a darker shade of blonde. 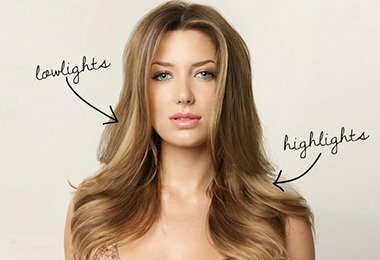 Bronde hair color has many forms. 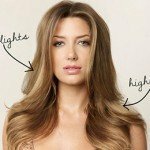 One of the best ways to achieve the bronde hair color stay lighter through the face and ends with well-blended highlights (or lowlights). The reality is adding lowlights as we head into autumn will add style to your look. The hair color experts at Look N’ Good Salon can help you sort the myriad of possibilities that can make your hair come alive. Call now to take advantage of our Autumn lowlight special.